April’s Meeting was hosted by Emily Winter and Matti Sloman, Founders of The Weaving Mill, a new production weaving mill located in Humboldt Park. Emily and Matti specialize in short runs of innovative, industrially woven fabrics, beautifully illustrated by their 100 Blankets Project. During our time at The Weaving Mill, Emily and Matti showed us how they do what they do, how they came to be where they are, and why their space is so unique. The Weaving Mill is located within social services agency Envision Unlimited, and provides job training programs to adults with developmental disabilities. Emily and Matti also let LWD know about W.A.R.P., their month long residency program. W.A.R.P. is designed to give artists working in diverse media access to studio space and to encourage collaboration between visiting artists and the artists of Envision Unlimited. 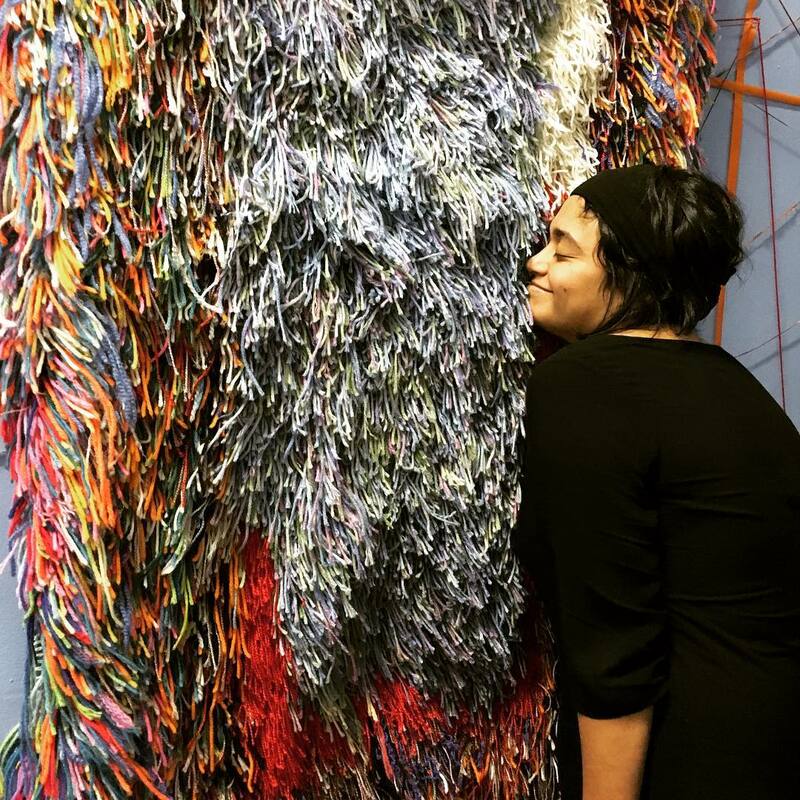 A fundamental mission of The Weaving Mill is to strengthen the relationship between the artists of Envision Unlimited’s studio program and artists in the wider Chicago arts community. As part of this residency, visiting artists are asked to design workshops and/or collaborative projects with the Envision Arts Studio.